Ever since David Ricardo came up with his "Law of Comparative Advantage"
products traded between the members was lowered from 40% to 3.8% (Past et al. namely Non-Tariff Barriers to Trade (hereafter NTBs) (Past et al. 2007, p.3). The WTO prohibits the introduction or retention of NTBs (Past et al. 2007, p.15). trade between Turkey and the EU, before drawing some conclusions in part 4.
one of the prices is fully affected by an NTB whilst the other is completely unaffected. based methods (Ferrantino 2006, p. 21, point 64). 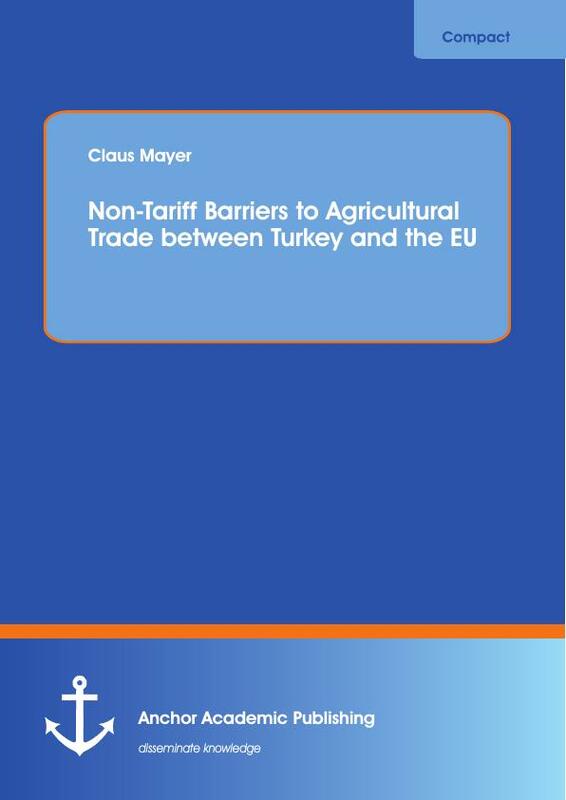 this thesis when examining agricultural trade between Turkey and the EU. researched way to capture the effect of NTBs. a large amount of related research to be carried out. estimate of the effects of non-tariff barriers. approach for the analysis of agricultural trade between Turkey and the EU. between U.S. states, the potential effect of which will be discussed in section 2.2.
exports and the error term have lead to a biased estimate of the border effect.